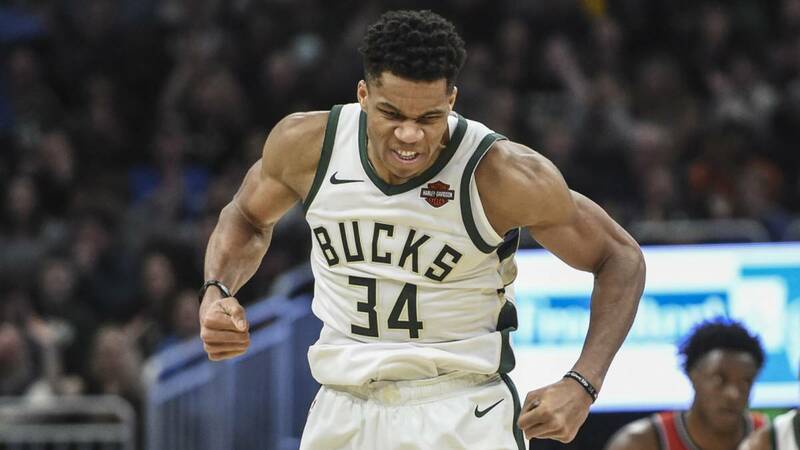 The Bucks star signed with the Heat the second triple double with the fewest minutes played in history: 12-10-10 in 24 minutes and 52 seconds. The world of basketball continues to surrender to Giannis Antetokounmpo. The young Greek signed in the early hours of last Tuesday against the Heat (124-86) the end triple double of his entire career. And he could be one of those who mark time, but not for the statistical contribution but for the total time he played to get it. The star of the Wisconsin franchise signed 12 points, 10 rebounds and 10 assists in an almost record track time : 24 minutes and 52 seconds. Precisely achieved by facing Hassan Whiteside, the player who holds the best mark since January 2015. In a game against the Bulls, then with Pau Gasol, the center of the Heat executed a triple double little usual with the least amount of minutes played in a game. In 24 minutes and 37 seconds he added 14 points, 13 rebounds and 12 blocks. Wild numbers that Antetokounmpo has not exceeded by a margin of only 15 seconds. Despite this, the Greek numbers help to think about what will more opportunities to get it, because this is his 4th double triple of the course and with it he has just match his best record three seasons ago. With only 24 years is the leader of his team in virtually all statistics. Predicted by game a total of 26.4 points, 12.6 rebounds, 6.1 assists and 1.4 steals; and it does it in the second classified of the Eastern Conference (31-12), which the Raptors lead (33-12) . A today, they seem more than enough reasons for what can come to him in the next All Star from February 17. Giannis leads the vote of the Eastern Conference for the match of the stars which implies being the captain of its block, a practically unusual event in the case of a player so young and from another continent. It will be necessary to wait until January 24, date in which the holders of the duel will be known.